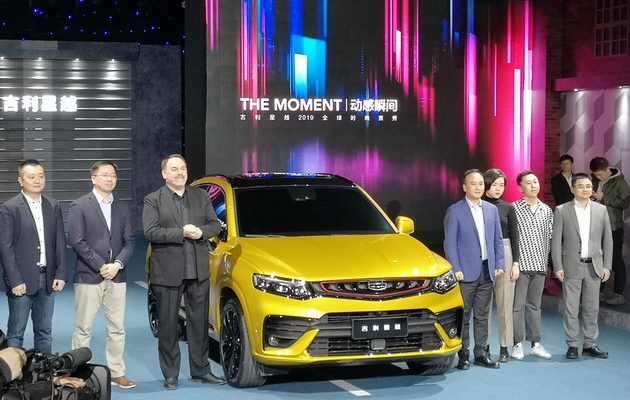 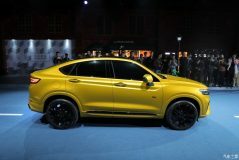 Geely has officially unveiled the FY11 Xingyue Coupe SUV that will soon go on sale in the Chinese market. 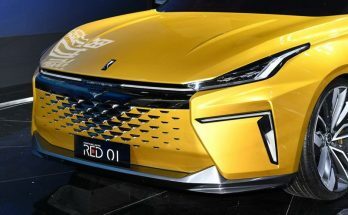 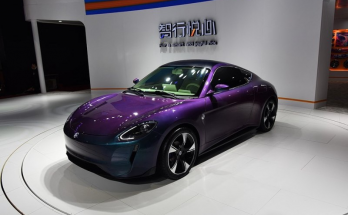 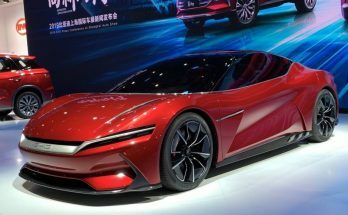 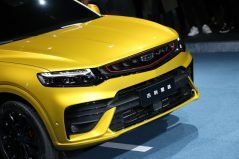 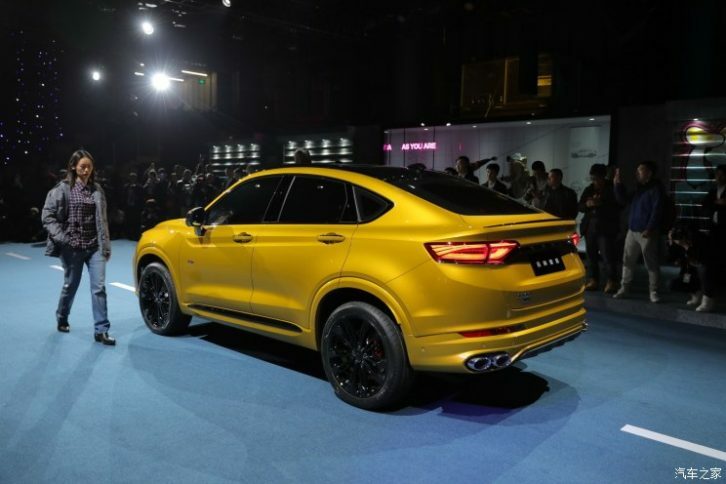 The FY 11 Xingyue is penned by Geely’s Design studio in Shanghai, featuring signature expanding cosmos grille, muscular shoulder lines and heavily sculpted lower air intakes.Built on the BMA modular, the FY11 Xingyue measures 4,605/1,878/1,643mm and has a wheelbase of 2,700mm. In terms of interior, the Xingyue adopts Geely’s new design theme, embedding a large central control screen that is slightly tilted towards the driver’s seat. 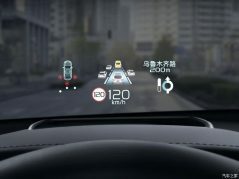 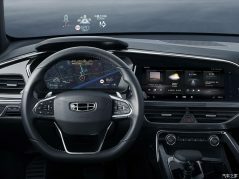 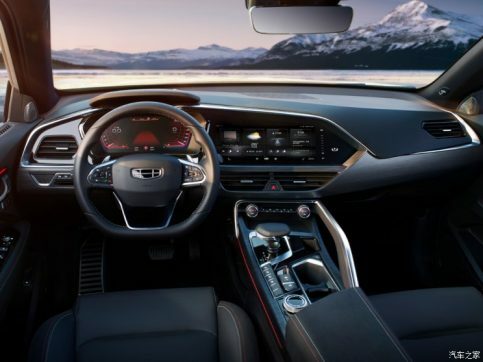 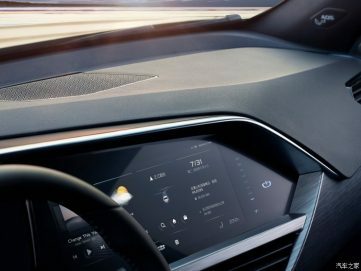 There is another digital screen for the dashboard, a flat-bottomed multi-function steering wheel and electronic switchgear at the center console. 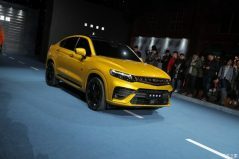 There will be three engine configurations on offer, there is a range-topping 2.0TD T5 engine, with a maximum power of 238 hp and peak torque of 350 Nm, mated to Aisin 8-speed manual gearbox. 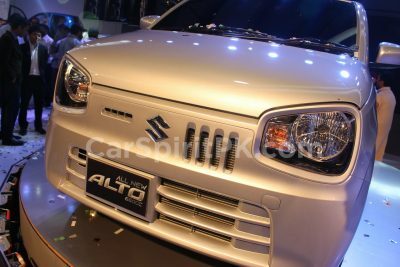 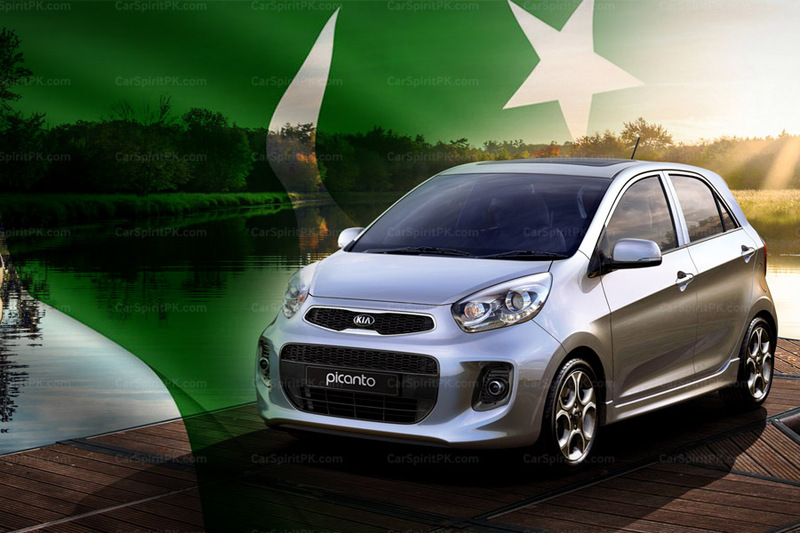 With a 4-wheel drive system, it will help the FY11 get an acceleration time of 6.8 seconds from 0-100km/h. 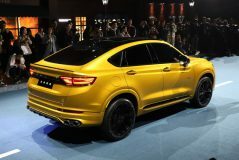 The other two powertrains are familiar, there is a 3-cylinder 1.5T plug-in hybrid unit with a maximum power of 180 hp and a peak torque of 265 Nm. 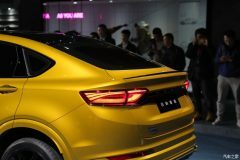 And lastly a 48V mild hybrid system, which is already deployed with the Borui GE, having a maximum engine power of 177 hp, and a peak torque of 255 Nm. 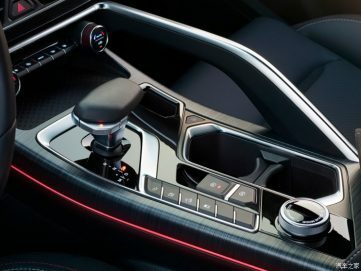 These units will be paired to 7-speed dual clutch gearbox. 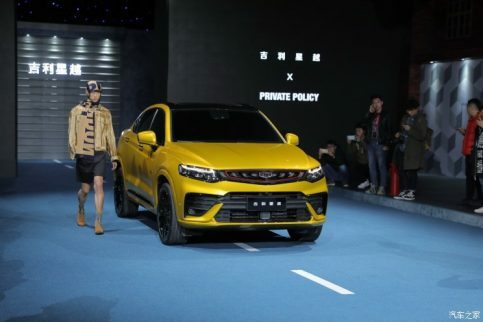 The Geely FY11 Xingyue will compete against the coupe SUVs such as Changan CS85, Haval H7X and Wey P8 GT.